Inspired by nature, Maori iconography and korero (story telling), Dave's works are highly adorned and engraved with intricate and detailed patterns. Dave has been carving for more than 30 years. 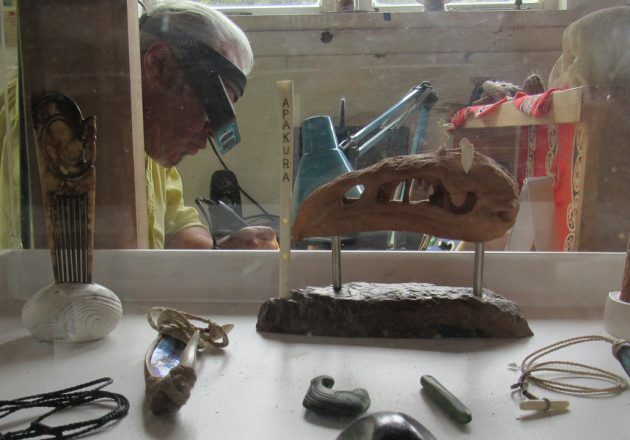 He sculpts and engraves predominantly found objects to produce items such necklace pendants, hair combs, fish hooks and flutes, but also large sculptural works. Dave’s finished works are often dictated by the original form and features of that object. 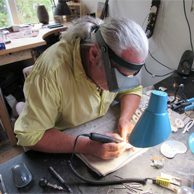 He works in a range of media, including andesite, pounamu, Oamaru stone, bone, whale teeth, paua, mother of pearl, and clay.